This design was taken from the reverse side of the United States Buffalo Nickel. That coin is my favorite of the nickel series. 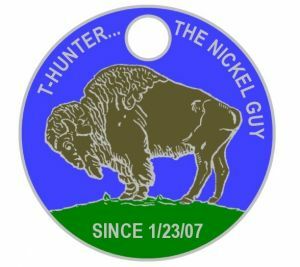 I call myself the nickel guy because I give away uncirculated nickels as swag and sets for FTF prizes.